There's nothing wrong with wondering if you've chosen the right words. There's also nothing wrong with looking for feedback to know whether what you've written comes across with the right tone and clarity. Not everyone loves words as much as I do. If you feel you are due for a word upgrade, then you've come to the right place. Do you stare at the screen and can't get what's inside your head to land on the page? Are you confident that your writing doesn't come across as lacklustre? Do you wish that you could convey the same level of excitement that you have for your company through words? Do you feel like visitors to your website are coming away with what you are hoping to deliver? ​It is amazing how even the tiniest tweak can completely change the final product. It's finding the perfect solution to the type of scenarios above and the opportunity to find the right combinations of words that excite me. I have a passion for taking what you're trying to say to the next level. I can write your articles, your bios, your life story and your wedding speech (the latter’s been known to happen). I can jazz up your website, or I can write the whole thing. I can sprinkle some excitement back into your company’s online face. An outsider looking in can spot where writing could use some rejuvenation. And after a while, a refresh can be something to look forward to. ​You are in good hands. 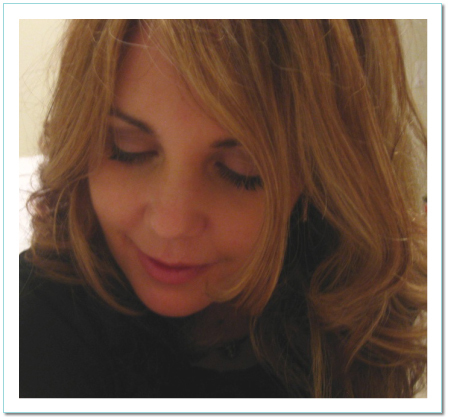 Find out more about Jennifer Bill here. and the South of France here, on my blog. Are you a left-leaning political thinker? Right-leaning? The Toronto Star’s provocative Political Sentimeter test determines your ideological group. 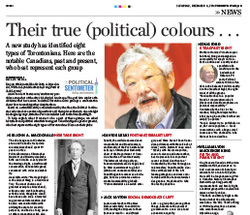 Check out if your political beliefs align more with Sir John A. Macdonald, Doug Ford or David Suzuki.